Don't throw away those older Audio Devices. Just clip on this convertor and away you go. 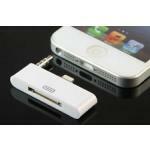 Supports analogue audio output, as well as charging. will this work for I phone SE on Roberts sound 53? Hi yes this should work fine for that system. Will this work for Amethyst iPig iPod Speaker Dock ? Can it also charge? Hi it should do but we have not tested it. If it does not you can send it back for a refund. Is this definitely compatible with the Sony speaker system model number SRS-GU10iP? I have done lots of research without success so far with regards to compatible adapters. Hi their is no reason why it should not work with that system and if you do have a problem we offer a 14 day refund policy. Hi it should work fine with that system and its controls. Hi.Will this work on a logic 3 valve 80 dock/amp? Hi does this also charge as well as adapt the audio connection. Thank you. Hi on most but not all systems yes it does. will this work with a PURE CONTOUR 100di please ? 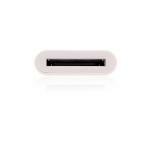 Hi it will convert old 30 pin iPhone docks to Iphone 5. 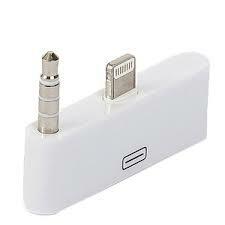 Will my iphone 5 audio adapter converter work with my TV? Will I need another cable? Will this work with a Kenwood M-616DV so I can play music through it from my ipod touch 5th generation? Does this work on the iPod nano 7th generation on a docking station? Hi does your car have the connector in the 2nd image image down on our web site ? Normally it will be in the arm rest or sometimes in the glove box and if you have a phone cradle installed release it using the hidden button and you will find it is underneath it. If it does then yes the HFP will work with your car. 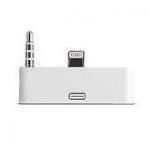 Do you know when the iPhone 6 audio adaptor will be available? will this work ,I had an ipod touch 4th gen docking station and now have an iPhone 5s ? Hi - does this work for an iPhone 6? Sorry no we are getting that soon. Hi this is exactly what we would recommend. Hi this adaptor will work to with 90% of iPhone 4 audio systems to make them work with the iPhone 5 BUT we cannot test the with everything. If it does not work you have 28 days from ordering to send the item back. Hi if I connect an hdmi cable to the 30 pin adapter will it give a mirror image on my tv. HI WILL THIS WORK ON MY SONY HI FI WITH IPHONE DOCK. Hi, will this fit in a B&W Zeppelin??? Hi sorry not as far as we know. Sorry no we will be getting that one in soon. hi does this work with iso8? 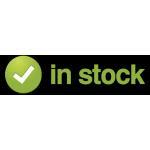 Hi yes it does we have tested it and sold hundreds without any problems. Hi, Could you tell me if this will work with an iPhone 6 please? Many thanks. Hi no the slots are in a different place we will have the iPhone 6 version shortly. Hello. Will this product work with my Roberts Sound System 53? 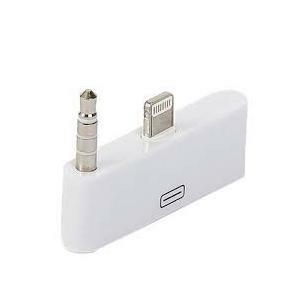 Hi... Will this adapter fit the Iphone 6?? No we will be getting that shortly. Hi yes is should do. does this also act as a charger? Hi, I have a pure contour docking station & have just got an i pod 5th gen. Tried another adaptor that would charge but no sound. Will this do both? will this work with gear4 docking station and iphone 5? Hi yes this is the correct adaptor. Will it fit a Bose Wave 30 pin iPhone/iPod connector AND a JBL OS-200 audio dock? If it will, I'll order 2. Hi yes it should work with both of those systems. Hi, I have an ipod 7th generation. will this work with that please? Sorry I think it does not the ports are in the wrong places. Hi, I have a House of Marley audio system/dock (http://www.thehouseofmarley.co.uk/audio-systems/get-up-stand-up-home-audio-system.html) and have just upgraded from iPhone 4S to 5S. Will this attachment work for me for audio and charging?